The building was divided into a pump room (Class 1 Group D Division 2 electrical area classification) and a switchgear room (unclassified electrical area classification). 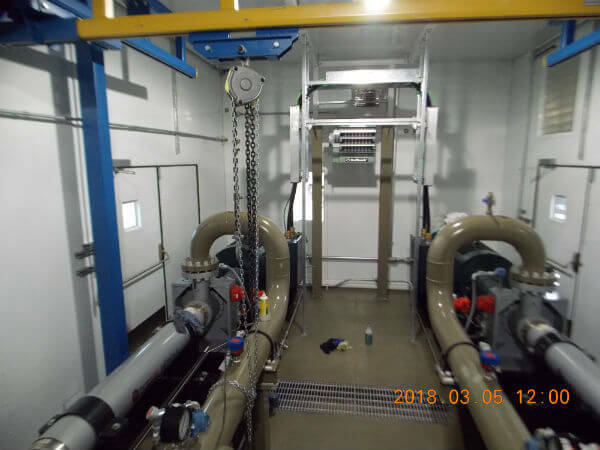 The Station Design basis reflected a 40,000 BPD (1,167 GPM) Oil Flowrate, Maximum Discharge pressure of 450 psig, ANSI 600# Piping Design Rating, and a Design Temperature range of -20F to 100F. IFS scope included the detailed design of the Modular Crude Oil Pumping Station, including P&IDs, General Arrangement Drawings, Structural steel drawings, major component outline drawings, piping isometric drawings, and all electrical drawings. 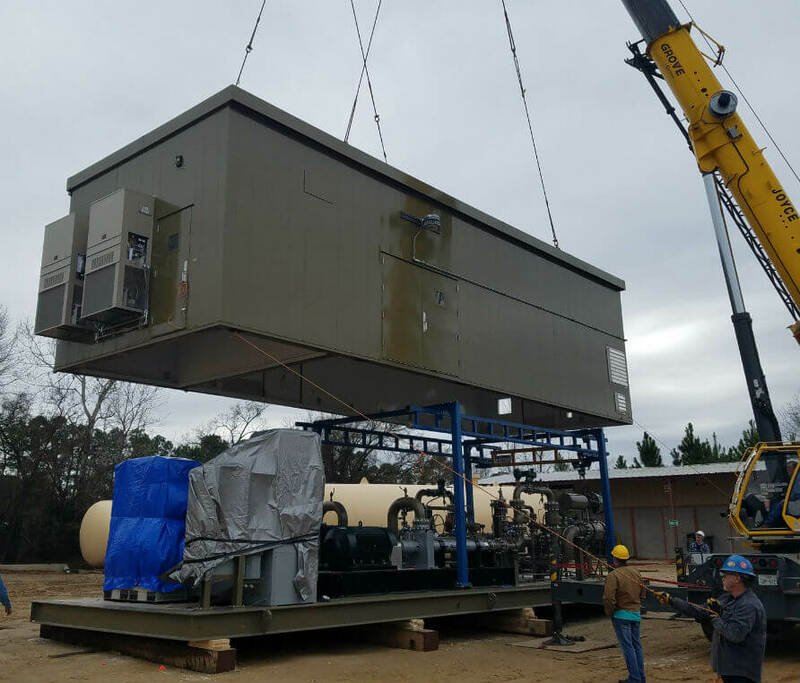 The completed Modular Crude Oil Pumping Station was fully run tested at IFS’s Tyler, Texas facility. 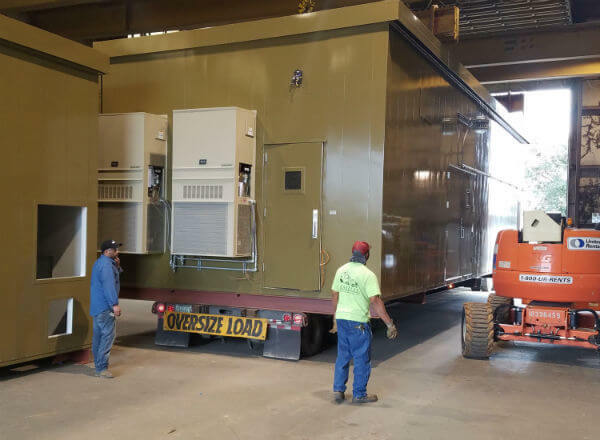 The run test included connecting 460 volt/3 phase/60 hertz electrical power to the switchgear room, connecting the inlet/outlet piping headers to on site tankage, and simulating site conditions with a Programmable Logic Controller. Fluid was circulated through the package to match actual conditions. 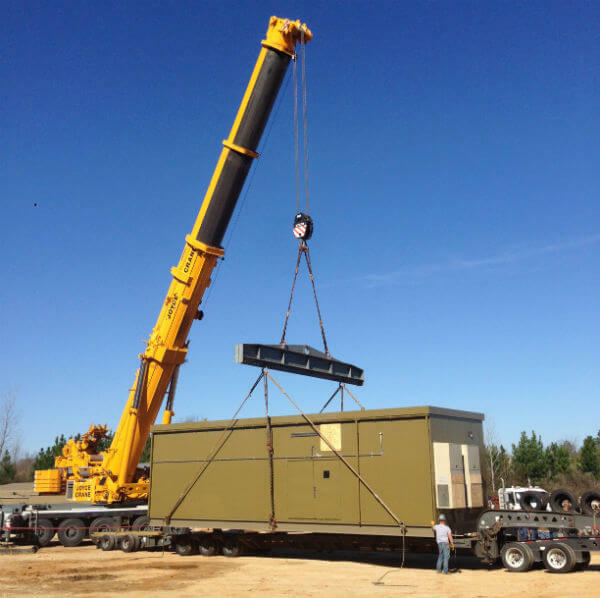 This Modular Crude Oil Pump Station is the first of (4) similar stations IFS is supplying to this site in North Dakota.